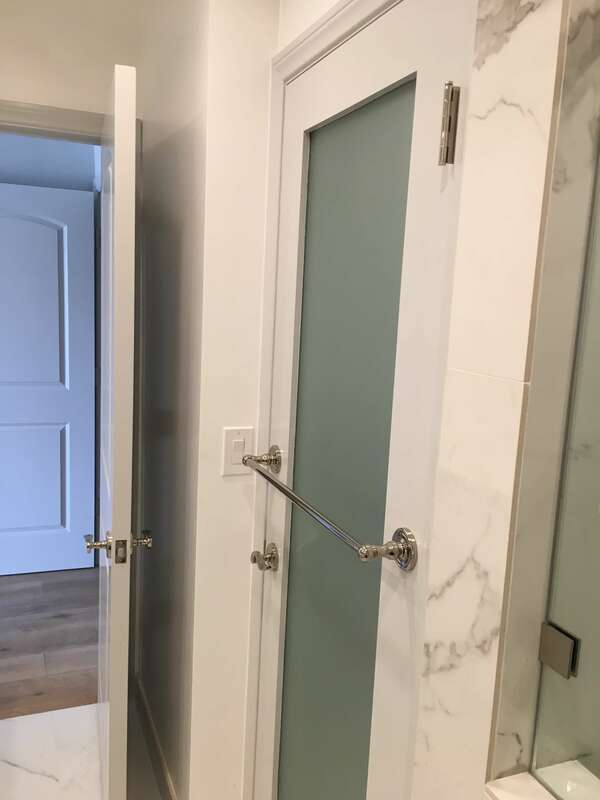 AMRON’s clients decided to completely remodel their circa 1970’s condo. 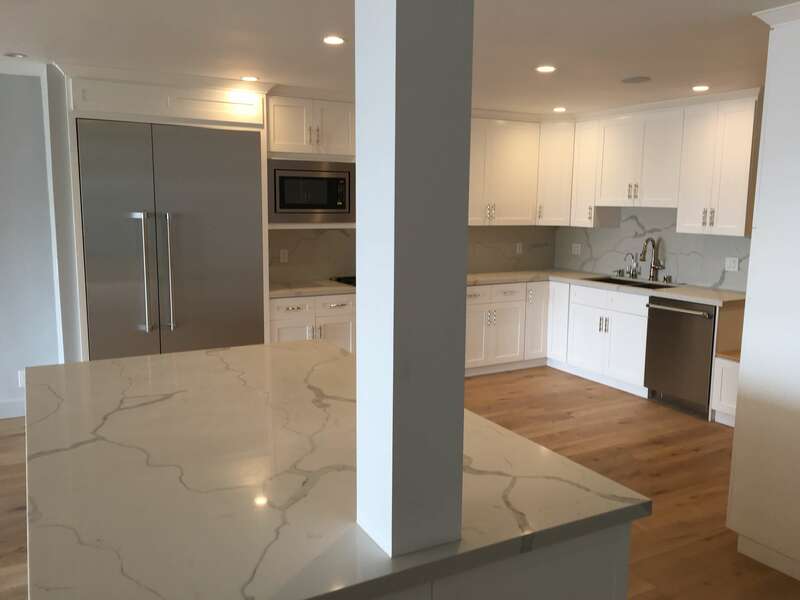 AMRON gutted the entire unit and put in new electrical, plumbing, support beams, floor, ceilings, walls, drywalls, bathrooms, kitchen, walk-in closets, windows, doors, molding, and deck resurfacing. 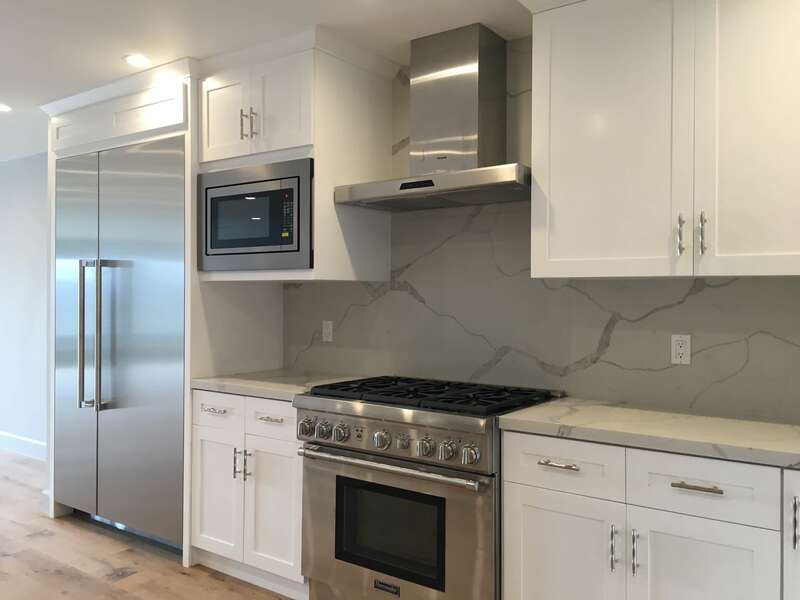 The new AMRON design build kitchen features custom built upper and lower cabinets, new Thermador appliances, quartz counter tops and marble backsplash. 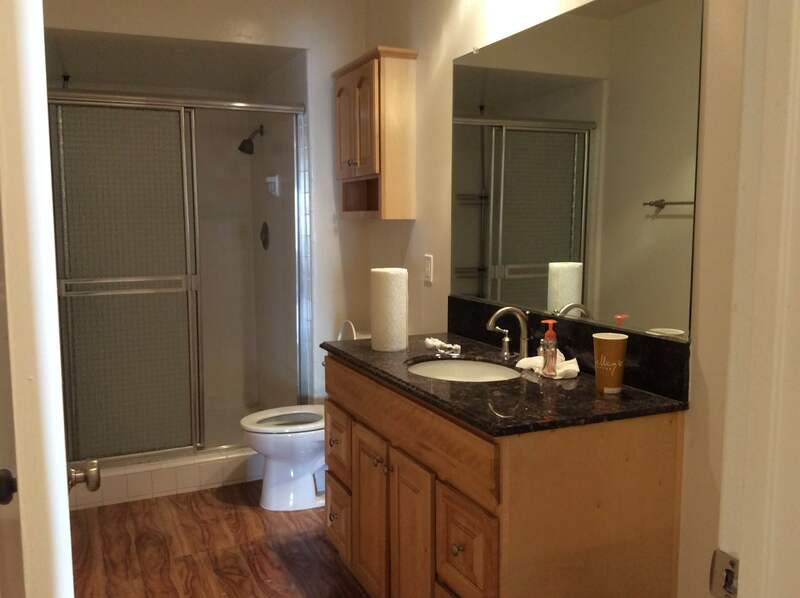 The following are 3 photos of the condo before it was refurbished. 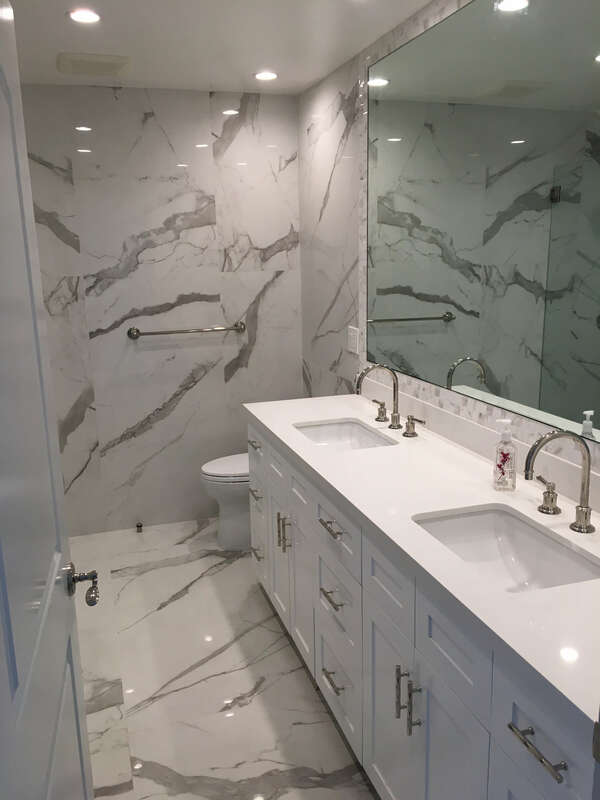 AMRON’s remodel included new wall additions / layout throughout the units with new interior solid core 1 3/4″ doors/jambs and hardware, finish plumbing, finish electrical and ceiling fixtures / recess lighting, finish tile, and all miscellaneous finish work required to complete the unit. 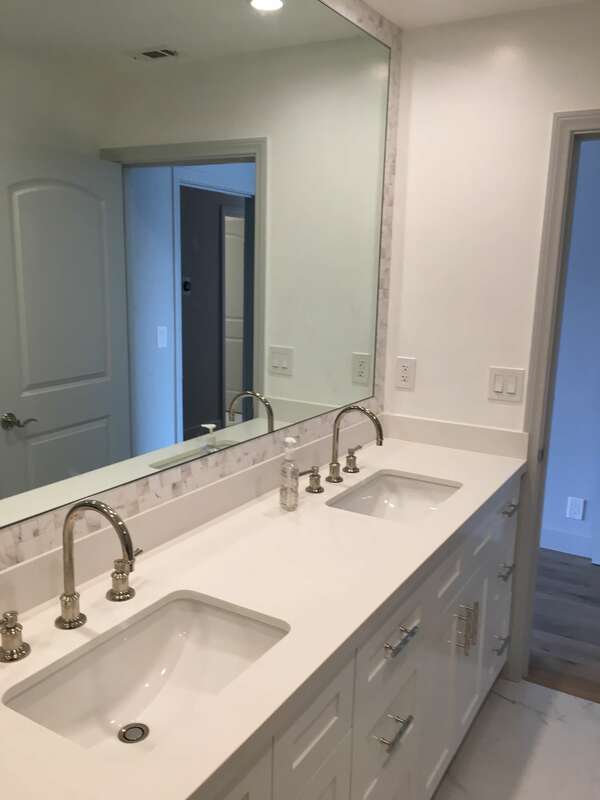 The AMRON remodel also included new drywall, oak flooring, and paint. 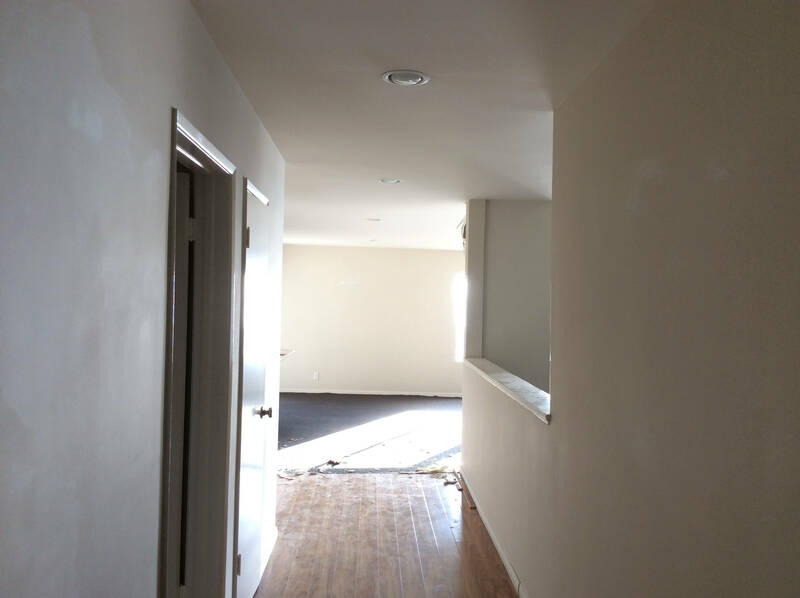 The following are photos show the condo upon completion of the project. 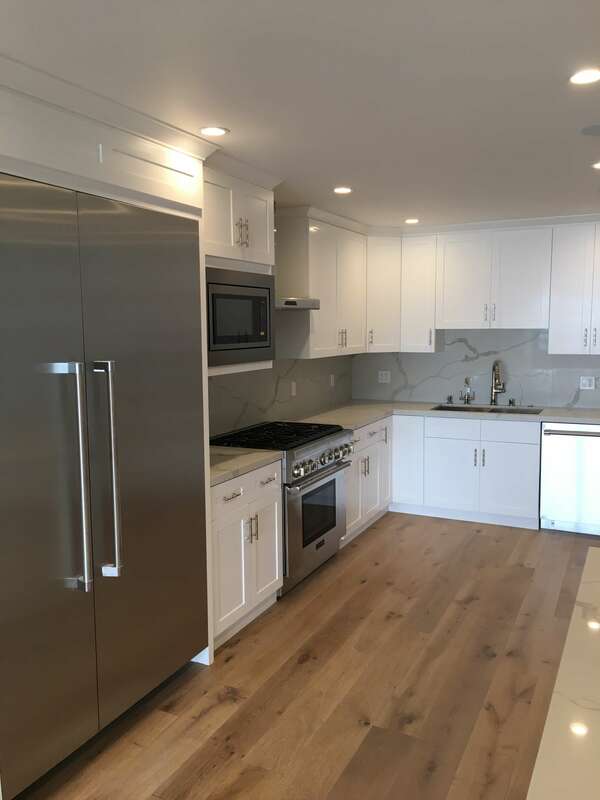 AMRON opened up the kitchen to the living room and hall to fully utilize the space and light coming in from the ocean view. 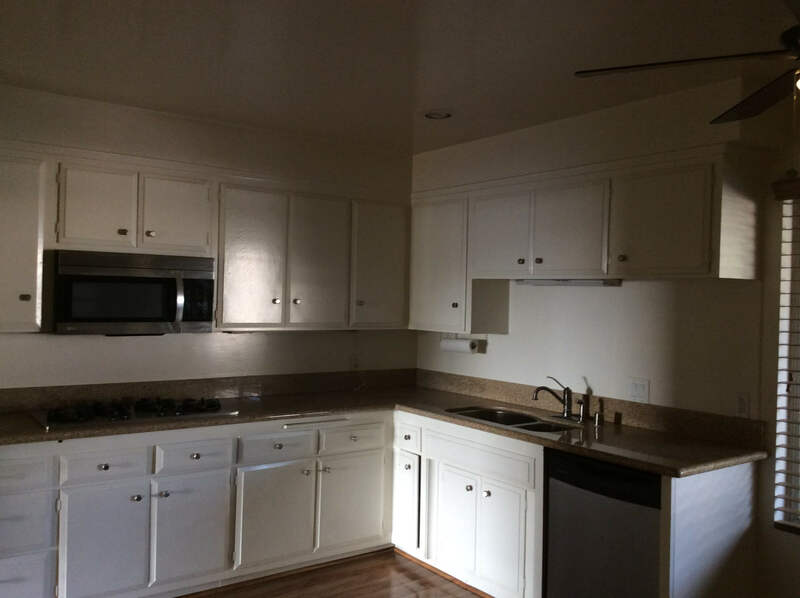 The kitchen features a window seat next to the dishwasher and an independent island with lots of cupboard space. 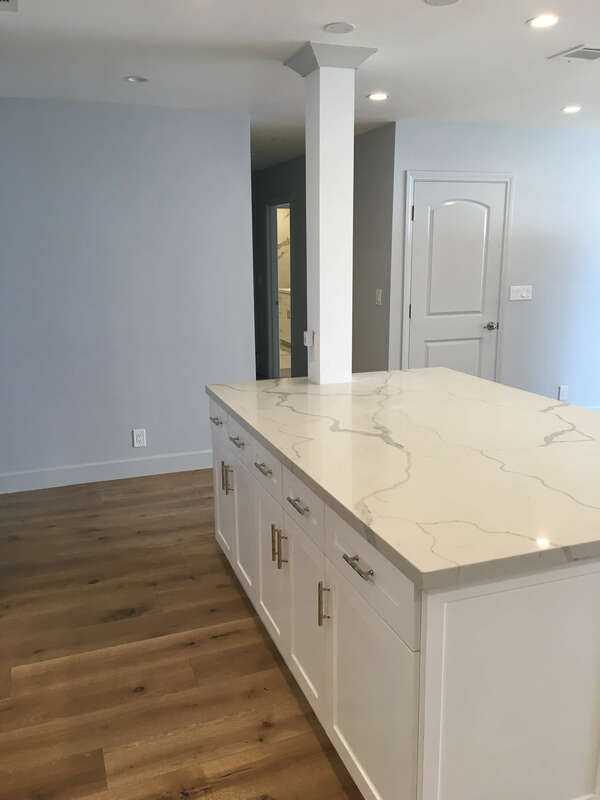 The engineered support beam by the kitchen island replaces the support wall. 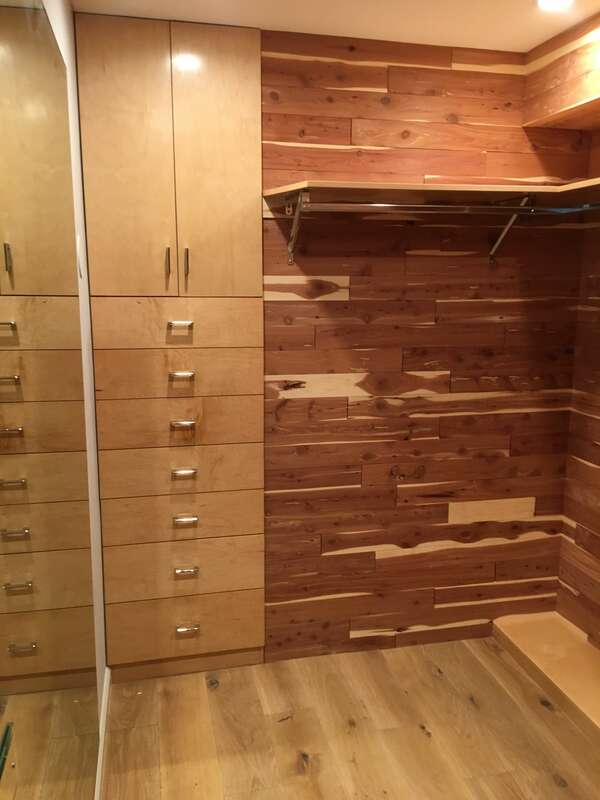 The flooring is engineered oak wood. 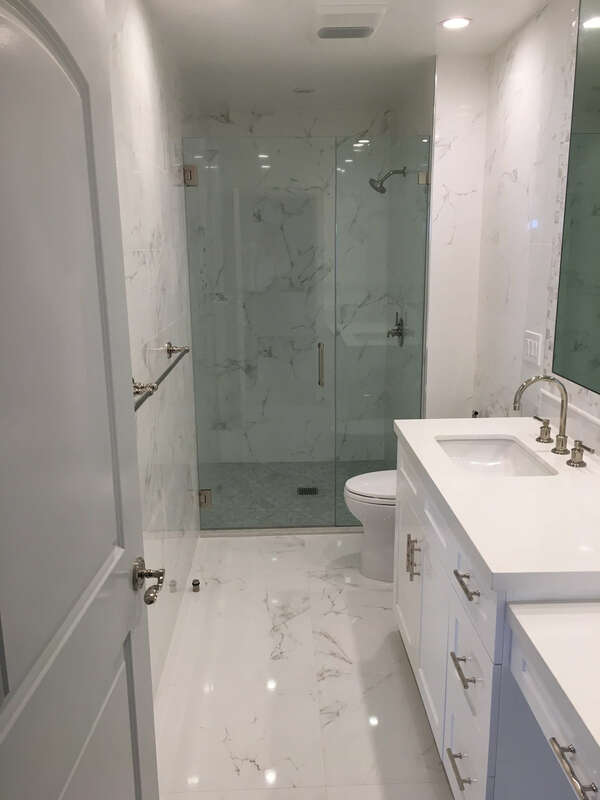 For this AMRON design build bathroom, AMRON installed new shower lath, custom built cabinets, quartz counter tops, tile backsplash and mirror frame, nickel platted fixtures, and marble shower, walls and floor. 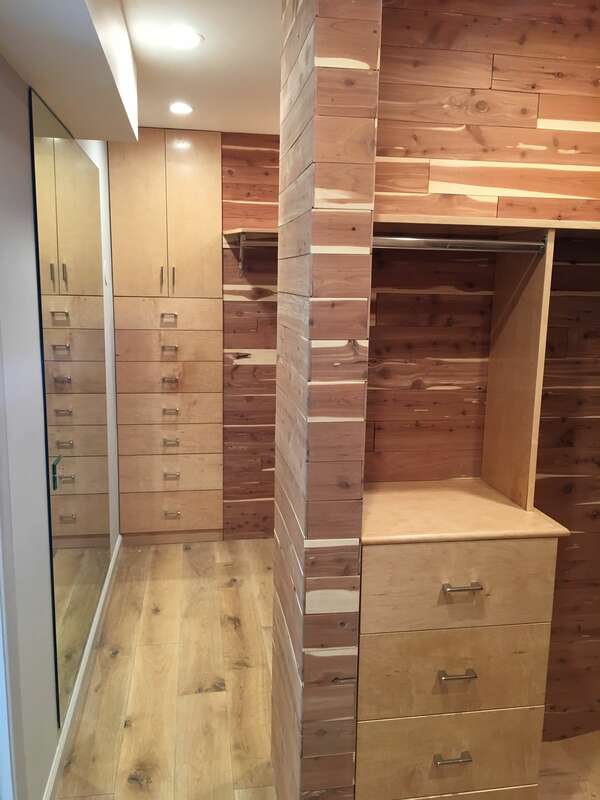 AMRON tore out an outdated wet bar and media center in the living room and used the reclaimed square footage to build a brand new walk-in cedar closet with recessed lighting, floor to ceiling full length mirror, and oak floors for the Master Bedroom. 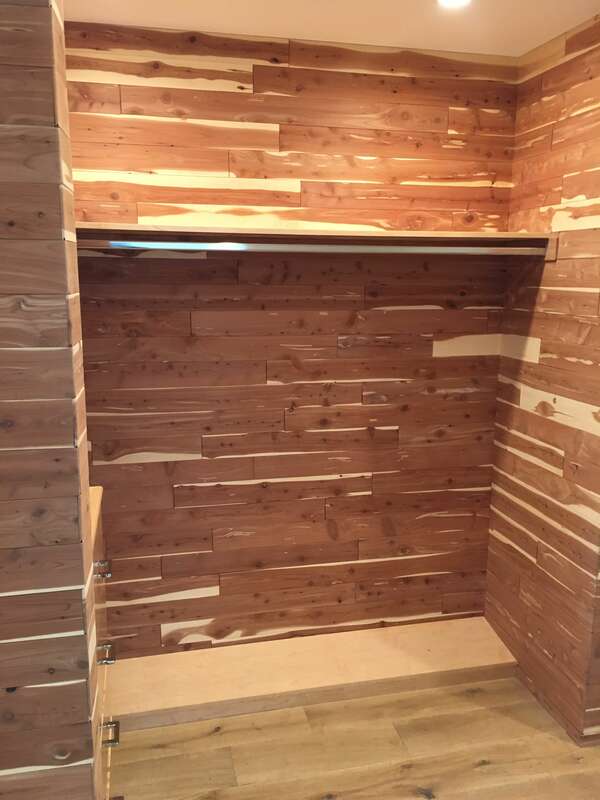 Check out the following photos of the walk-in closet. 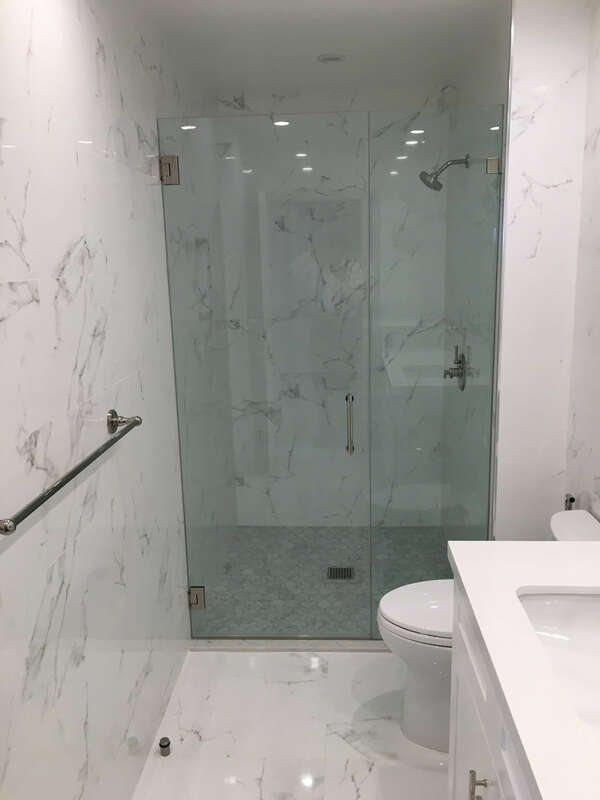 The guest bathroom has the same light and airy motif as the kitchen and master bathroom with marble walls and floors, nickel platted fixtures, quartz countertops, AMRON custom made cabinets, and tile backsplash, mirror frame, and bathroom floor. 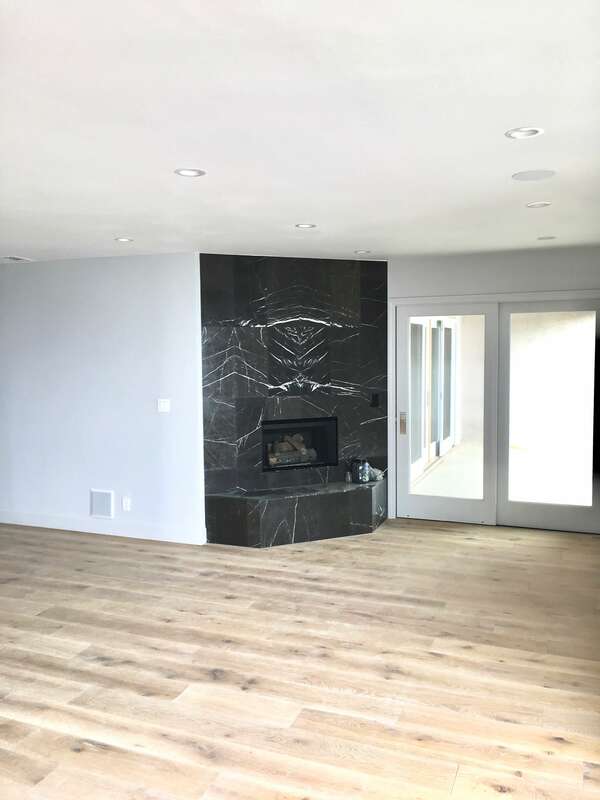 To add ambiance to the living room area, AMRON utilized the wall space where the old media center had been, and designed and built a marble, gas fireplace as shown below. Note, the new, sliding glass doors to the balcony, as well as, recessed lighting, oak floors, throughout. 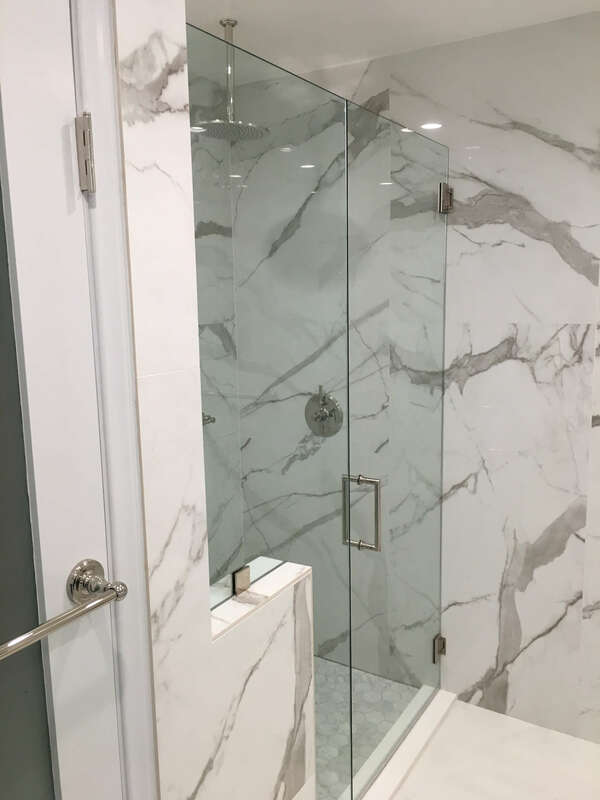 For an expert approach to your construction needs, AMRON has the skill, experience, and creative touch to build your project from the ground up.